An order is a contract between a company and a customer to provide services or deliver products with a known quantity, price and date. You can use orders to automate your organization’s post-deal process. After Spring’14, Orders are now generally available. You can use Orders to customize your order management process in Salesforce. 1. Customer decides to purchase products or services: – You may identify this through a closed opportunity. 3. Review/Add Orders : – Now you can review all products added in Order Products correctly. 4. 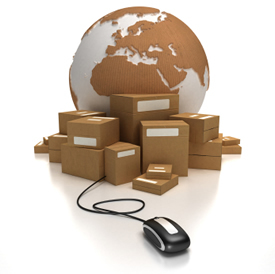 Activate Orders : – When an order is complete (ready to be shipped or provisioned), you can activate the order. 5. Order is provisioned or shipped : – Once an order is activated, users can respond to the order by provisioning services or shipping products that have been purchased. 6. Reduce Orders : – This step is optional. If your organization supports reduction orders , and a customer returns a product or requests a reduction of services, you can reduce an activated order. Orders feature is available in Developer, Performance, Enterprise, Professional and Unlimited editions. Reduction in Orders feature is available in Developer, Performance, Enterprise and Unlimited editions. In this article I will cover How to enable Orders, create, review and activate Orders (First four points), Rest part (Deactivate, Delete and Reduction Order, Reports ) I will be covering in the next article. Note: – Orders follow the sharing model of the parent account. This means that a user with read access to an account also has read access to all of that account’s orders. Fill the all required fields, by default status will be Draft. 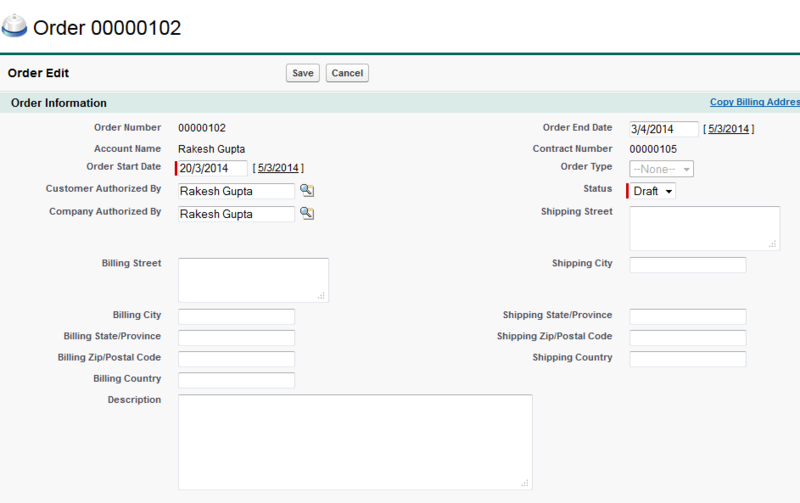 You can customize fields, create multiple page layout and record types according to your business requirements. Note:- You can’t edit the account or contract fields on an order. Order Start Date can’t be earlier than the contract start date. Each order must be associated with only one price book. If the order is a child of a contract, the order inherits the contract’s price book. Once a price book has been assigned to an order, users can’t switch or remove the price book. the contract page layouts using a custom lookup relationship field. To activate or deactivate orders, users must have the “Activate Orders”user permission. An order must have order products before it can be activated. If an order has been activated, users can’t delete its order products or add new ones. Users can’t deactivate an order if it’s been reduced, regardless of the status of the reduction order. 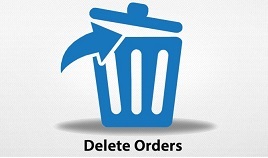 To deactivate an order, users must first deactivate and delete any associated reduction orders. To edit an activated order, users must have the “Edit Activated Orders” user permission. To Add permission, it’s better to create a new Permission set with all permissions that are required to activate, delete or deactivate orders and assign it to users.